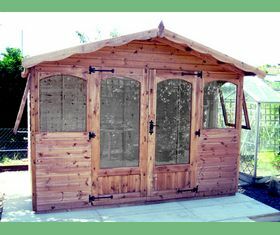 Gorilla Garden Sheds Limited manufacture a range of quality garden sheds and log cabins that are built far beyond the standards that most companies work to. 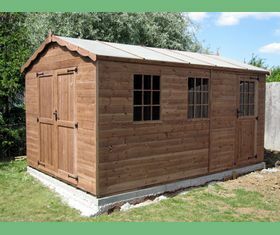 Our sheds are built using quality materials. All our cladding is 5th grade or better Scandinavian redwood pine, the framework is either C16 or C24 grade and all our framework is smooth and rounded 4 corners. Our floors are either tongue and grooved or 18mm exterior plywood on the larger sheds. Our standard roofing felt is hard wearing polyester based green mineral, not the cheap rag based felt more commonly used. We try not to hide extras in our pricing as well. All our prices include delivery in South Essex and East London. Don’t worry if you are outside of those area’s though, we do deliver further afield, the cost is worked out according to the postcode. 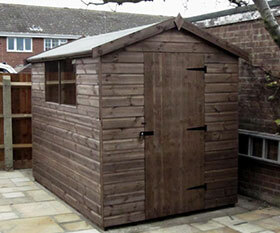 We install all or our sheds free of charge at the time of delivery. 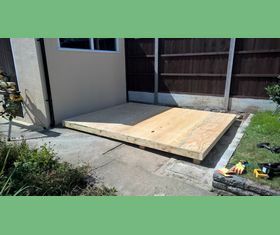 We need you to ensure that there is good access and a suitable firm, flat base for the shed to go onto. 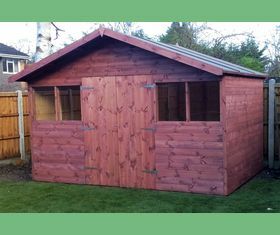 We give our sheds a basecoat treatment as standard which is also included in the price. 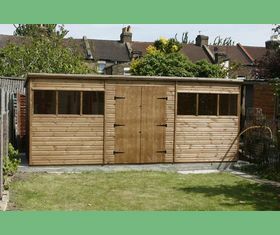 Alternatively, you can have us treat your shed for you prior to delivery with a very high quality spirit based treatment that penetrates the timber and gives your shed the best start in life. We also sell the treatment if you would rather do this yourself after the shed is installed. Our windows are real glass, we do not use plastic that might yellow over time. If safety is an issue then we can swap the standard horticultural glass to laminated glass at additional cost. 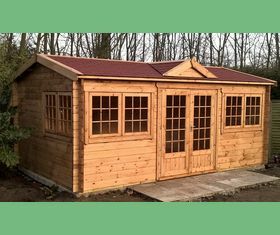 As all our sheds are built to order it is no problem for us to modify a design for you or to build a completely bespoke garden building for use as an office, man cave, ladies retreat, garden room or a crash out for the kids. 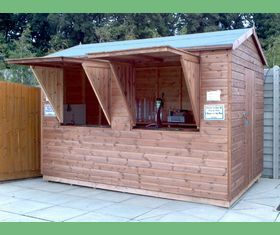 At Gorilla Garden Sheds we build garden sheds up to a high standard using good quality graded timber to ensure that your shed lives up to our reputation. 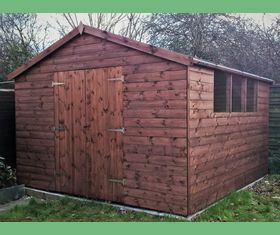 Many companies build their garden sheds using cheap whitewood cladding which keeps their prices down but isn't as durable as the redwood pine that we use. 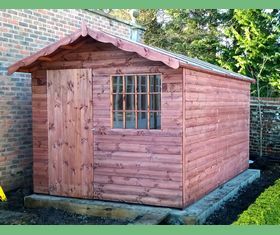 Whether your requirement is for a garden storage box, a garden shed , a home office or a bespoke garden building, we exercise the the same care in providing your new garden shed or building as we would if it were going in our own garden. 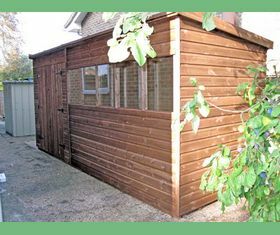 If you cannot find the garden shed or building that you require on this site then please give us a call or drop us a line.